The 2015 summer blockbuster season is slowly wrapping with The Man From U.N.C.L.E., director Guy Ritchie’s 1963-set spy adventure based on the popular TV series that ran from 1964 to ‘68. The would-be franchise from Warner Bros. boasts likable leads in Henry Cavill and Armie Hammer as competing American and Russian spies forced into an unlikely partnership over a missing nuclear warhead. Cavill is the witty American, Napoleon Solo. Hammer offers contrasting balance as all-business Soviet spy Illya Kuryakin. Rising star Alicia Vikander rounds out the spy team as Gaby, an East German auto mechanic who helps Solo and Kuryakin find her missing father, a German scientist. Straight Outta Compton, the origins story of acclaimed ‘80s hip-hop group N.W.A., is arguably the most unique of all summer 2015 studio releases. The Universal Pictures drama may lack marquee stars as revolutionary rap artists Dr. Dre (Corey Hawkins), Ice Cube (O’Shea Jackson Jr.), Eazy-E (Jason Mitchell), MC Ren (Aldis Hodge) and DJ Yella (Neil Brown Jr.). Wisely, director F. Gary Gray puts the music and the group’s Horatio Alger-like story in the spotlight. Fox Searchlight opens in select cinemas the art house comedy Mistress America, starring Greta Gerwig as Brooke, an entrepreneurial New Yorker who enlists her soon-to-be stepsister (Lola Kirke) on a frenzied plan to open a Brooklyn restaurant. Gerwig co-writes the script with on-set/off-set partner and director Noah Baumbach, making Mistress America their third collaboration. 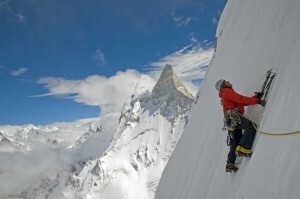 Meru, from Music Box Films, also opens in select art houses this weekend. Directors Jimmy Chin and his creative partner, co-director and wife, Elizabeth Chai Vasarhelyi, follow mountaineer Conrad Anker and his expedition team as they climb the challenging Shark’s Fin atop Mount Meru in India. We Come as Friends lands on the socio-political side of the documentary genre. Veteran documentary director Hubert Sauper puts his storytelling (and aircraft piloting) skills to the test in this look at the potential exploitation of resources and people in newly independent South Sudan. BBC Worldwide North America opens We Come as Friends in select art-house cinemas. Debuting via select cinemas and streams from Screen Media Films, Ten Thousand Saints, from Shari Springer Berman and Robert Pulcini (American Splendor), tells a coming-of-age story set in ‘80s Lower Manhattan. Jude (Asa Butterfield), a Vermont teen, joins his estranged father Les (Ethan Hawke) in New York’s gritty-at-the-time East Village. Emily Mortimer, Emile Hirsch, Hailee Steinfeld and Julianne Nicholson round out the impressive cast. Bridey Elliott and Clare McNulty headline Fort Tilden, director Sarah-Violet Bliss’ low-fi comedy for Orion Films, about two New York girlfriends and their comic adventures heading to remote Fort Tilden beach in the Rockaways. 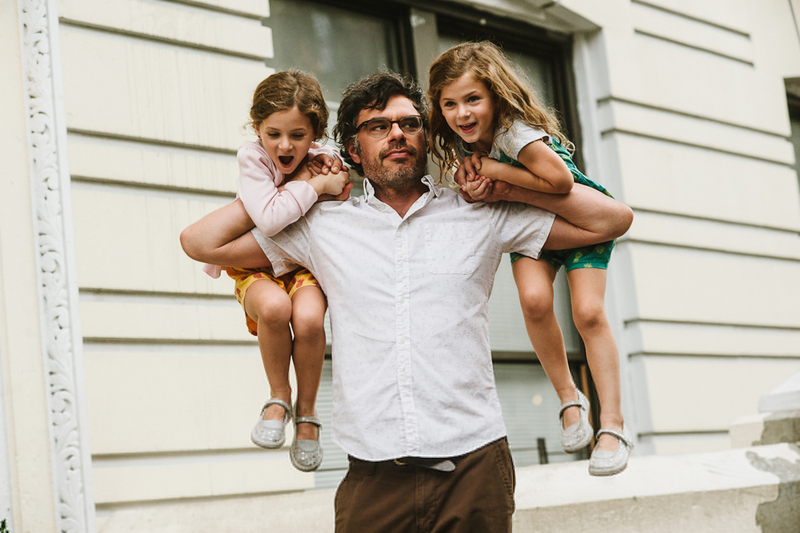 People Places Things, from indie distributer The Film Arcade and writer/director James C. Strouse (Grace Is Gone, The Winning Season), features Flight of the Conchords star Jermaine Clement as a single comic-book artist raising two young daughters while trying to reignite his career and personal life. For internationalists, the Locarno International Film Festival in Locarno, Switzerland wraps Saturday and the Sarajevo Film Festival in Sarajevo Bosnia and Herzegovina launches its 2015 edition today. Now, get going, you’re late for the airport.